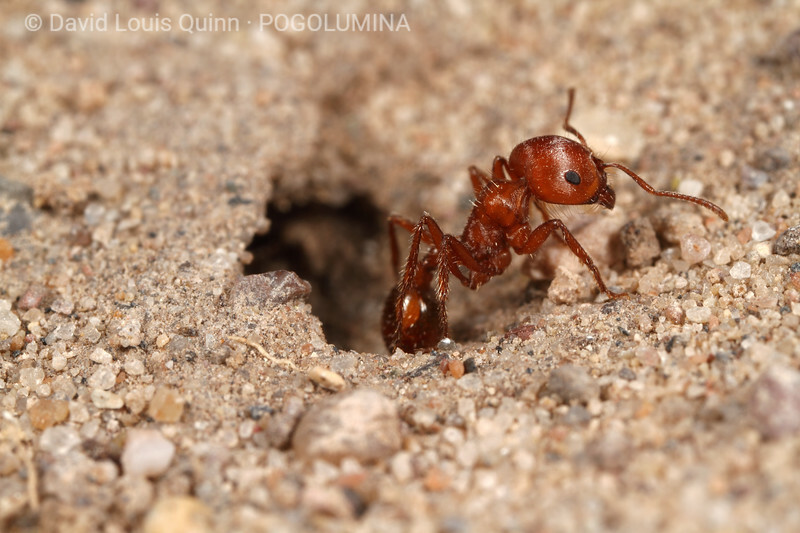 Images of Pogonomyrmex desertorum - the desert harvester, at Big Bend N.P., TX USA. ADDITIONAL NOTES/REFERENCES: The integument (outer body covering) of these P. desertorum workers was quite translucent. When back-lit by the sun (as can be seen in some of these images), these ants glowed with the most beautiful orange-red color. In some cases, x-ray-like hints of their internal anatomy could be seen as well.